Is there a better alternative to Tank Game? Is Tank Game really the best app in Action category? Will Tank Game work good on macOS 10.13.4? Tank Game is a casual 3D Shooter about a tank and a helicopter saving the world from evil robotic vehicles (well, it's not quite that dramatic, but I need some sort of story line to go with the game). 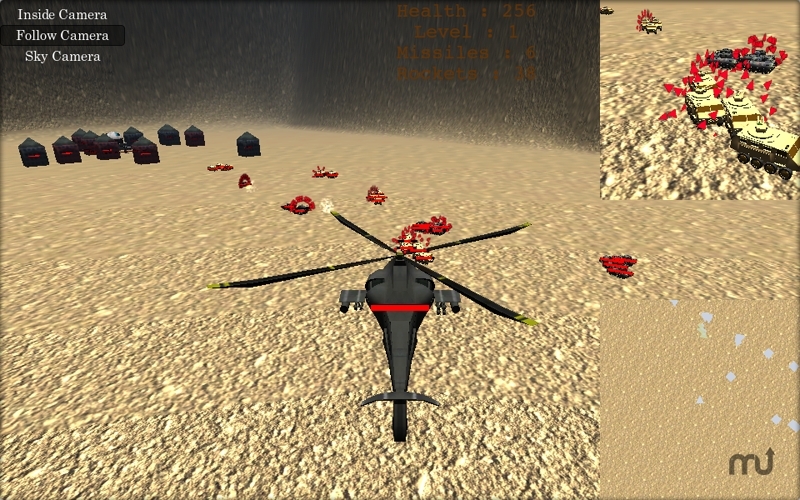 You control the helicopter and you go around blowing up the enemy bases. Your base will send out tanks to help defend against the enemy tanks which come after to blow up your base. Turned game into one game instead of two (no more Capture the Flag mode). Made the level bigger (don't know if that is a good thing, right now they're too big). Improved targeting (you now actually have to aim). Changed floating health indicator from text to a red bar. Tank Game needs a rating. Be the first to rate this app and get the discussion started! So far it only has one level because I just changed the gameplay around a lot and I don't know where to go from here. I need ideas on what to with the game so vote on the poll to the right and/or send me an email to mem_dixy_webpage@me.com. I also need a new name for the game (I already have a few people suggest some new names but I would like to have a few more ideas (and no I am not going to call it Helicopter Game, I want something more original)). If you have not played the earlier versions of Tank Game then you can download them (mac only) by going to my website (just click on the blue Mem Dixy on the right). Camera views now have a short cut by pressing a the number buttons (1, 2, and 3). Changed radar and map appearance and functionality. Added a missile camera to the missiles.